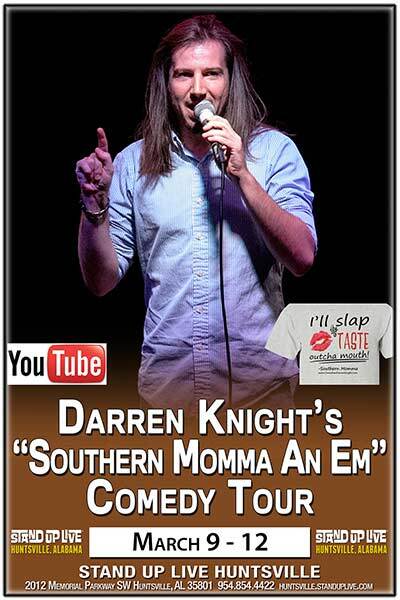 Bang Productions presents Darren Knight's "Southern Momma An Em" Comedy Tour produced by John Edmonds Kozma. Featuring Rocky Dale Davis who was hand picked for Kevin Hart's new stand up show "Hart Of The City." Hosted by "The Distinguished Gentleman" Gary Cargal.